Young people who want to travel around Canada, but may not be able to afford it, have the choice to work while they are travelling. This option allows them to earn money and use it to travel, and the kind of visa that gives this opportunity is the Working Holiday Visa. The Working Holiday Visa is a Canadian work visa that grants work and travel Canada opportunitis to young people (usually students) to go to Canada to get a job and visit the best places in the country. This visa is part of the International Experience Canada (IEC) program, which allows youth to work and travel, work in Canada as a Young Professional, or get an International Internship. If your country is one of those that has the agreement with Canada or you choose a RO, then you can start the Working Holiday Canada process. With this visa, you will get an Open Work Permit, which means that you can go to Canada and then find a job. 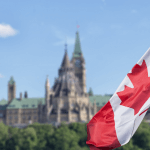 The visa is best when you want to travel in Canada and work in different places and for different employers, but you do not have a job offer yet. The Working Holiday Visa allows you to stay in Canada for 1 year and then return to your home country. During this time, you are allowed to change employers and travel anywhere you want within the country. 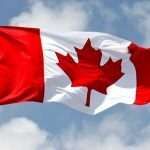 How to apply for the Canada Working Holiday Visa? The application process for the Working Holiday Visa can take some time and has these steps. If the system determines that you are eligible for the IEC, it will take you to the page where you have to fill out your profile forms. Complete the profile forms with the necessary information (personal information, passport number, travel information, contact information, etc). Submit your profile and find out whether the system determined that you can enter the pool for the working holiday visa. You do not need to complete your whole profile immediately, but you must finish it and submit it within 60 days of starting it. The Government of Canada has a pool of applicants for each category of the International Experience Canada (IEC) Program. After you complete your profile, you can enter in the pool of applicants for which you are eligible. In this case, you should enter in the pool of candidates for the Working Holiday Visa. You may be eligible for more than one pool, so for example you can enter in both the Young Professionals and the Working Holiday Visa. However, you cannot enter twice for one pool of candidates. You will be in the pool of candidates for one season, so for one year. If the season ends and you do not get the invitation to apply, then you must submit your profile again. During one season, there are different schedules when the Government of Canada randomly picks candidates from a pool and invites them to apply. You can check the schedule for the rounds of invitations, number of candidates in the pool, and your chances of being selected here. If you get picked for an invitation, it will show up as a message on your account. You can then accept the invitation or decline it. When you are invited, you will have 10 days to decide about the invitation. If you decline the invitation, you then continue to stay in the candidate pool for the next round of invitations. If you are in more than one pool, you will have to decline one invitation to get the other. For example, if you are in the Young Professionals and Working Holiday pool and get an invitation for the Young Professionals, you will have to decline it so as to get a chance to be selected for the Working Holiday Visa. If you accept the invitation, you will then have 20 days to apply for a work permit. Since you will only have 20 days to submit the application for a work permit, you must start immediately. You will first need to fill out the necessary forms with the information you provided when you submitted your profile. Police Certificates – for all countries where you have lived for more than 6 months since you were 18 years old. 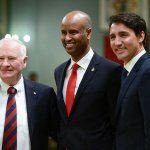 If you cannot get all of them in 20 days, then you must submit proof that you have requested them and be ready to show them to an official at the Canadian Consulate later on. If you have a criminal record, you will not be allowed to have a work permit. Curriculum Vitae (CV) or Resume – which shows your education, qualifications, employment history, and you current job and location. Medical Exam – if you are planning to work in a job which requires it or if you have lived in countries which pose a danger to your health, you should visit a doctor who will issue a certificate of good health. This form is IMM 1017B – Upfront Medical Report, which you must upload in your application. If you cannot get this form in the 20 days you can submit the application, then you can attach proof that you are waiting for the form. Passport and Digital Photo – You must submit a clear copy of your passport that is valid until the date of your departure from Canada. Also, you must submit a digital photo of yourself according to the Photo Requirements. 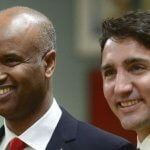 Schedule 1 – Application for a Temporary Resident Visa Made Outside Canada. You must pay the International Experience Canada fee of CAD$100 and the Open Work Permit Holder fee of CAD$100 for the Working Holiday Visa. If you are asked to submit biometrics, you will also have to pay an additional biometrics fee of CAD$85. Pay these fees and then submit the application for the work permit. The Government of Canada will go through the application and inform you whether you are eligible or not. If you are, they will let you know of the next steps you must take. The Consulate may ask you to go through an interview or submit more information. You must complete their requirements, or your work permit application will be denied. The validity of your work permit is at the discretion of the Canadian Consulate, but it usually is for 1 year. After your work permit expires, you must return to your home country or you will face the risk of deportation.